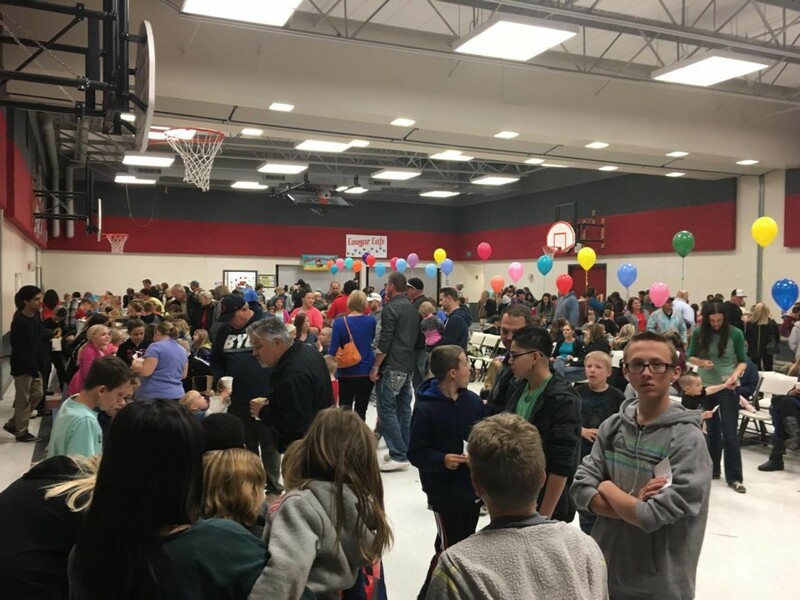 HURRICANE — Fifth-graders at Hurricane Elementary School showed off their unique cardboard creations Thursday night at the school’s “Cardboard Carnival,” an evening dedicated to the four academic disciplines of science, technology, engineering and math, otherwise known as STEM education. 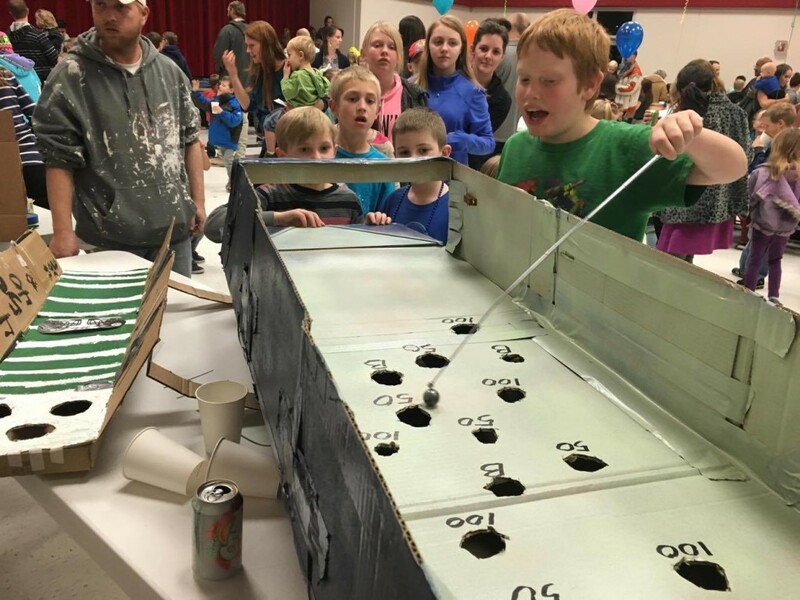 The “Cardboard Carnival” is an annual event that fifth-grade students participate in and run, said Paul Tauiliili, STEM teacher at Hurricane Elementary. The carnival is the culmination of a weeks-long STEM lesson on magnets. 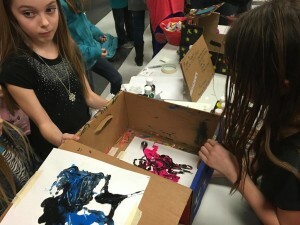 Over the course of five weeks, students in the STEM class learn the scientific properties and uses of magnets and then create a game or activity out of cardboard and tape that incorporates magnets. 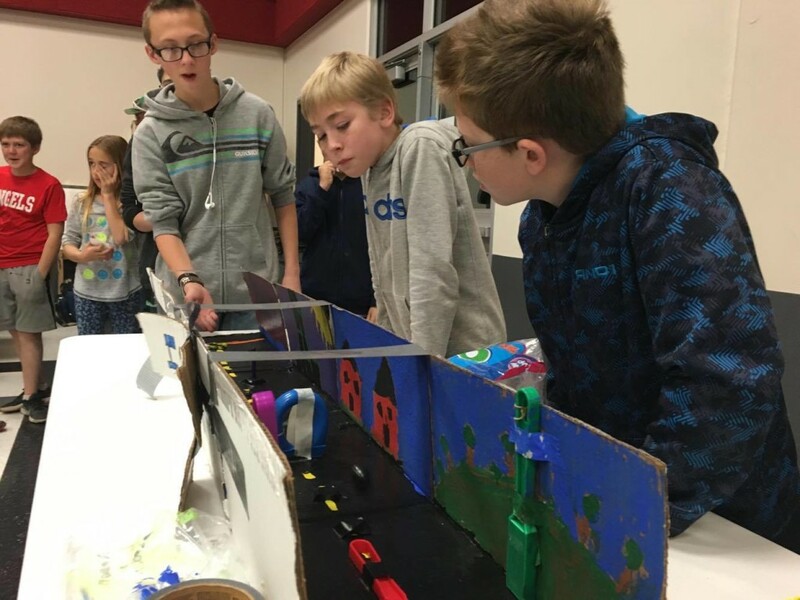 The students engineer unique and sometimes elaborate games from simple materials and combine creativity with STEM principles and then put them on display for the staff, other students and their families to enjoy. Students learn valuable engineering and problem-solving skills, Tauiliili said as they try to make the visions in their head become a reality using mostly cardboard and tape to create a structurally sound as well as interesting and engaging piece of work. 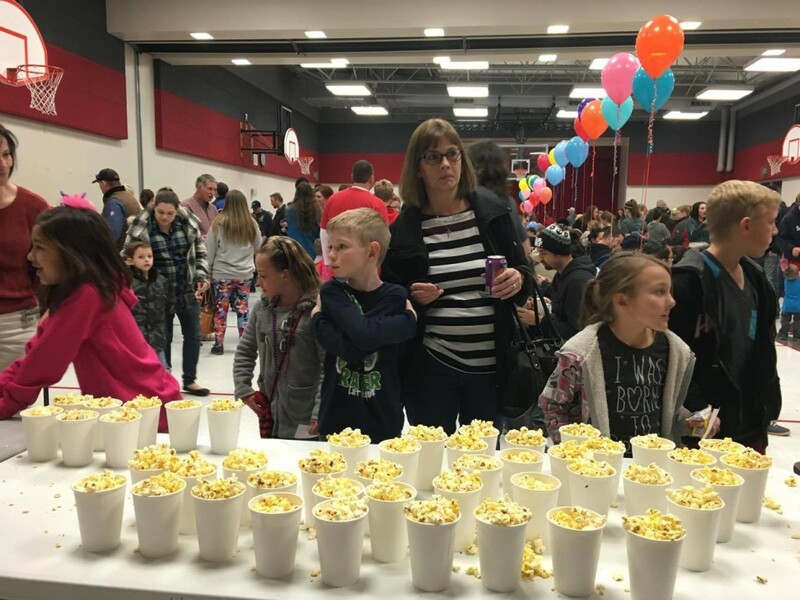 The carnival is a popular activity for students and their families to participate in and attend, Hurricane Elementary Principal Travis Wilstead said, adding that it is a great way for parents to see how the kids are applying the things they are learning in school. The focus in the school system on STEM education is relatively new — Hurricane Elementary is in its fourth year of having a STEM curriculum, Tauiliili said — but already it seems to be making a difference in the students. It’s been really fun since we’ve started this. You know, you ask the kids, ‘what did you do today?’ and they always talk about recess or lunch, but our kids, you ask them ‘what’s your favorite part about school?’ and they’ll talk about science and the things that they’ve made or the experiments that they’ve done. … It’s been really fun. The students are enjoying it too. 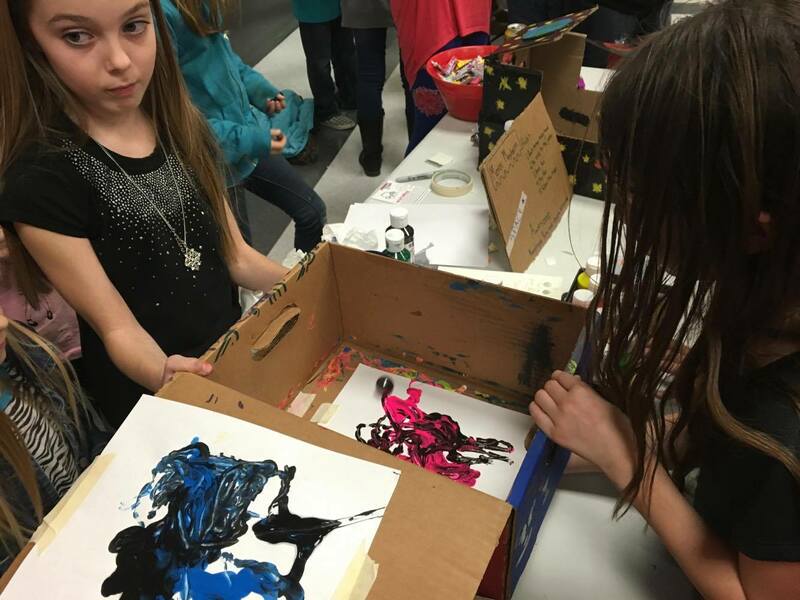 Participating student, Gracie Gubler, incorporated a little art into her STEM project creating a way to use a magnet to manipulate paint. Gubler wants to be a meteorologist when she grows up and said she loves the STEM classes.